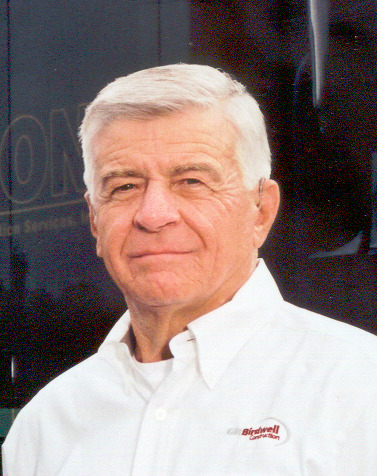 Mr. Birdwell has over 51 years construction experience relating to environmental and general construction projects. Mr. Birdwell is a Licensed Professional Engineer in the State of Texas. In 1977 Mr. Birdwell founded G.R. Birdwell Construction and in 1989 he founded Remedial Construction Services, Inc. Through hard work, outstanding service and commitment to excellence both companies have grown into multi-million dollar businesses with the majority of work being repeat customers. In 2008, Remedial Construction Services was sold to an investment group. He founded Camp Hope Development in 2012. Camp Hope provides interim housing for our Wounded Warriors, veterans and their families suffering from combat related PTSD in a caring and positive environment. The facility opened in 2012 and is located in a quiet and safe setting in Houston, Texas whereby veterans and their immediate family members can find healing, help and hope while benefiting from an intensive peer support and mentoring program for Post Traumatic Stress. In addition to temporary housing, Camp Hope offers a 90+ day PTSD recovery program in which residents: attend group lessons and support sessions with other combat veterans; conduct individual mentoring sessions with certified combat trauma mentors; participate in off-site small group interaction activities (fishing, hiking, local activities and events); and get involved with local churches, businesses and volunteer organizations to assist in their personal healing and educating the community on the invisible wounds of war. The Camp Hope staff is a unique team of combat veterans and civilian pastoral staff trained in working with victims of trauma and post-traumatic stress. They understand that those who have served this nation continue to struggle with the invisible wounds of combat and are working to assist our troops in putting the pieces of their lives back together. The Camp Hope staff uses the necessary traditional counseling tools and incorporates a faith based approach to help combat the effects of Post Traumatic Stress. In addition, the staff assists veterans with a myriad of issues including job placement, coordination with the Department of Veteran’s Affairs and reputable veteran service organizations to assist with claims and benefits, transportation to appointments and peer support groups integration. The Camp Hope community embraces our troops, veterans and their families as they seek the rewarding and fulfilling lives they so richly deserve.